무슨 소리야? = What is that sound? The Korean sentence above is predicated by an intransitive verb (들리다), which means it cannot act on an object. The English translation is predicated by a transitive verb (to hear), which means it can act on an object. A more direct translation of the Korean sentence would be “the sound cannot be heard.” However, this phrase is often used to indicate that one cannot hear something. 무슨 소리예요? = What is that sound? This word appears in my Korean Sign Explanation Video #1. The Korean sentence above is predicated by an intransitive verb (들리다), which means it cannot act on an object. 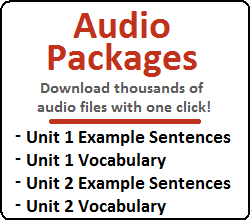 The English translation is predicated by a transitive verb (to hear), which means it can act on an object. A more direct translation of the Korean sentence would be “Your voice can be heard well/clearly.” However, this phrase is often used to indicate that one cannot hear another person’s voice. 그 이야기의 의미는 뭐예요? = What is the meaning of that story? Notes: This word less common and more difficult than “읽다.” When using 독서하다, within the meaning of the verb is that one is reading a book. You don’t need to include the object “책” if using this verb. It is common in its noun form “독서” to refer to the noun of reading a book. 내일 공부하러 독서실에 갈래요? = Shall we go to the reading room tomorrow to study? 우리는 언제 출발할 거예요? = When are we going to leave/depart? 비행기가 아직 출발할 준비가 안 됐습니까? = Is the plane not yet ready to depart? 술을 마셨어요? = Were you drinking (alcohol)? 뭐 마실래요? = Depending on the situation, this could mean “Shall we drink something?” or “What shall we drink.” 뭐 could represent a question (“what”) or something ambiguous (“something”). I talk about making this distinction in Lesson 25. This word appears in my Korean Sign Explanation Video #6. 몇 킬로 나가요? = How much do you weigh? Notes: The word 씌우다 is used when covering somebody’s head with something. The most common case this would come up is when holding an umbrella for somebody. 만화책을 샀나요? = Did you buy the comic book? 무엇을 샀어요? = What did you buy? 치마를 몇 개 샀어요? = How many skirts did you buy? 그때 돈을 얼마나 벌었어요? = How much money did you earn at that time? Notes: 쪽 is a noun, but a special noun. I refer to these sometimes as “pseudo-nouns” in my lessons. 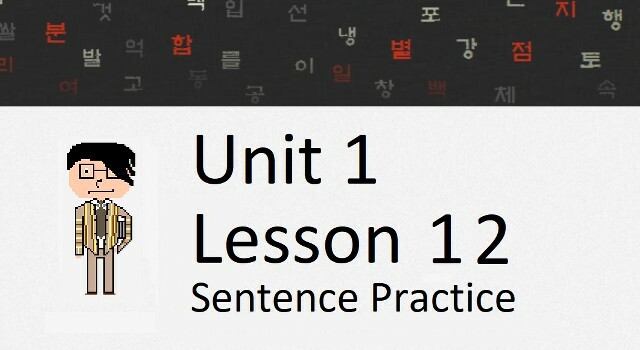 Other nouns like this are 적 (Lesson 32) and 수 (Lesson 45). 쪽 can only ever be used when some sort of context is given to it. 몇 시예요? = What time is it? 몇 살이에요? = How old are you? 친구가 몇 명 있어요? = How many friends do you have? As of now, you have learned a few different Korean particles. 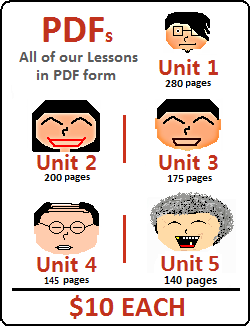 The particles you have learned so far are: 는/은, 이/가, 를/을, 의 and 도. There are many more particles that you will need to learn – and this lesson will cover a lot of them. 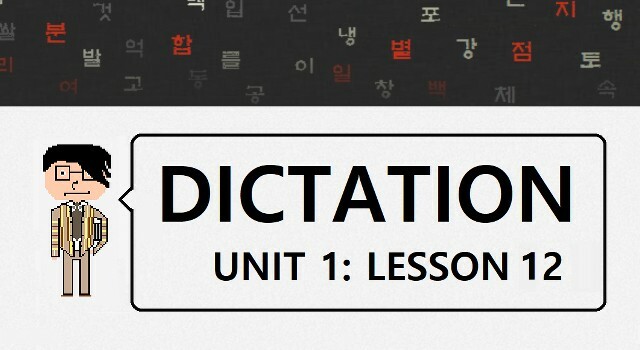 In this lesson, you will learn about ~들, ~만, ~에서, ~부터, ~까지 and ~(으)로! Let’s get started! Both are perfect sentences and both can be used, but you should be aware that Korean people often get rid of the subject/topic altogether when speaking. This will be done from time to time throughout our lessons. (remember, 번 acts as an adverb – so it doesn’t need a particle to be attached to it). Instead, ~들 is usually only attached to the word “person” (사람) or other words with the meaning of people (for example: actors, workers, doctors, etc…). Also, many verbs don’t end in 하다 and just end in 다 (for example: 가다, 먹다, 보내다). The way that you can change those verbs into a form that allows ~만 to be attached will be discussed in Lesson 29. 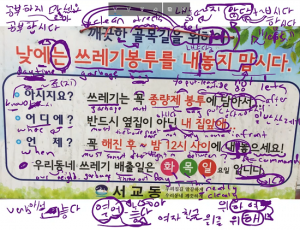 The examples above show ~만 attached to nouns, but really it can be attached to a wide variety of things – including grammatical principles and other particles, which we’ll get into after a few more lessons on Korean basics. When ~만 gets attached to more complicated things, it usually doesn’t replace something, but overlaps it. What I mean is, when ~만 is attached to the subject or object, ~을/를 or ~은/는 get eliminated. However, when ~만 is attached to something else, everything usually stays in place. I’ll show now how it can be attached to the ~에 particle we’ve covered, and follow up in later lessons with other particles. When using 그때, ~에 is often omitted because it can be assumed. You can see ~만 used on a Korean sign in this YouTube video. Foreign learners of Korean are often very confused as to when they should use ~에서 instead of ~에, as they both denote places in Korean sentences. ~에서 is used to denote the location in which the subject is doing something. In order to help you understand the purpose of ~에서, I would like to make a distinction between ~에 and ~에서. As I said, ~에서 is used to indicate the location in which the subject is doing something. All of the locations from those examples above would require the particle “~에” to denote the location. 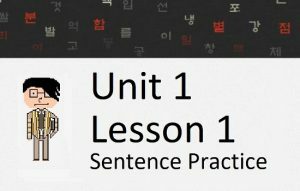 In this sentence, where is the subject (저) when doing the action (보다)? ~에서 is not used in this sentence, so it is unknown as to where the subject was when he/she saw the sign. It might be known from context, but this specific sentence is not describing it. Therefore, the person is saying that he/she saw the sign “on the building” – as if he/she was walking by and saw the sign attached to the building in some way. The action did not occur at/on/in the building, it’s just the location in which he/she was looking at. In this sentence, where is the subject (저) when doing this action (보다)? ~에서 is attached to “건물.” Therefore, the subject was in the building and saw the sign. This sentence is nonsense. It is indicating that, the action actually occurred on/in the table. That is, the subject somehow within the table placed the bottle somewhere. But the sentence is so nonsensical that it is not even indicating where the bottle is placed. It could translate to something like “(While I was) in the table, I placed the bottle.” Don’t get too hung up on that translation because it’s hard to translate a sentence that doesn’t make sense. (This sentence is correct, but it is stating that the person left from Korea because the action of “going” (가다) is occurring at/in Korea). This function is talked about a little bit later. In addition to the examples provided, there are more ways in which ~에서 can be used to mean “from.” Below is a sneak preview of more ways ~에서 can be used to mean “from,” but I’ve used some grammar forms not yet introduced. Making a mental note of these types of sentences might help you when you come across similar sentences later. As you can see, ‘from’ (in English) has many usages as well. When a word has a lot of meanings in Korean – and the corresponding English word also has a lot of meanings – mastering the usage can be challenging, but also rewarding when it all comes together. Two more important Korean particles you need to know are ~부터 and ~까지. These two sentences (despite the slight nuance of “departing” and “starting”) are essentially the same. In both cases, the subject is going from Incheon to Seoul. They can both be seen as correct, but most Koreans would rather use ~에서 when talking about the location in which something starts/departs. This meaning of ~(으)로 can be used in so many situations it would be impossible to list them all. As you get comfortable with the basic examples of this usage, you will slowly be able to grasp when it should be used in all situations. ~로 is added to words ending in a vowel, whereas ~으로 is added to words ending in a consonant. ~로 is also added to words ending in ㄹ. The only reason for this difference is for ease of pronunciation. If you say “것로” there is a split second where your tongue cannot go directly from 것 to ~로 – so it is changed to 것으로. 사람 쪽 = the direction of the people, etc.. In the first example, you are running into the house/in the direction of ‘inside the house.’ In the second example, you are running inside the house. Here is a Korean sign that is used to warn passengers that the door opens “in the direction of inside” by saying “안쪽으로”! Watch me analyze the grammar and the vocabulary found on this sign. Here is a Korean sign that is used to indicate that you should not go “in the direction” of below/downwards by saying “아래로.” Watch me analyze the grammar and the vocabulary found on this sign. That’s it for this lesson! I wanted to cover a few more particles, but this lesson already has way too much in it! In the next lesson, I will introduce you to more of these common particles. Until then, make sure you review this lesson before you move on!